Welcome your guests this spring with a brightly colored Easter deco mesh wreath! This beautiful wreath is a great addition to your Easter décor, plus it’s affordable and easy to make. 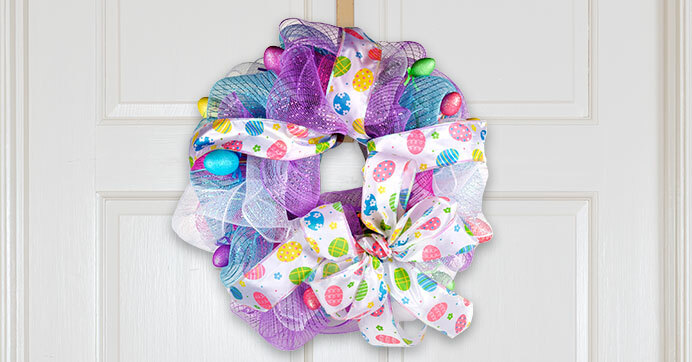 Decorated with adorable mini plastic eggs, festive ribbon, and colorful deco mesh, this wreath will have the Easter Bunny hopping straight to your home. Hang it on the front door or over the mantel, or lay it flat as part of an Easter centerpiece!